Sacramento, CA [June 9, 2016]--Boutique hotels and bed and breakfast inns throughout California draw from the bounty of local farms, foragers, fishermen, ranchers and winemakers to create culinary dishes that reflect the diverse regions and seasons of the Golden State. Below is just a sampling of California inns that feature fresh, local organic fare at its best. The imaginative menu of Sage Restaurant at the McCloud Hotel near Mt. Shasta changes with the seasons to include vegetables and herbs from their own garden. Local farmers and purveyors round out the menu with grass-fed beef, sustainable fish, handcrafted cheeses made from raw goat milk and thistle rennet, honey harvested from the base of Mt. Shasta and produce sourced from local CSAs. The intimate restaurant, which is located off the lobby of the historic hotel, serves elevated American fare with California, French and Mediterranean flair in a relaxed setting. Outdoor dining is available in the summer months on the wisteria-covered terrace overlooking the gardens. The restaurant is open year-round Wednesday through Sunday evenings from 5:30 to 8:00 p.m. Led by Executive Chef Austin Perkins, Nick’s Cove Restaurant serves the finest seasonal, sustainable California cuisine sourced from local Marin and Sonoma County farms, as well as fresh, locally-caught seafood and the restaurants’ signature offering: Tomales Bay oysters. In summer of 2014, Nick’s Cove unveiled The Croft, an on-site farm and garden which is supplying all of the restaurant’s leafy greens, herbs, honey and eggs laid by 35 chickens (and one rooster named Slick Rick). The 3.5 acre farm is located across the street from Nick’s Cove on a hill overlooking the bay. The Croft will eventually supply all of the produce used in the restaurant, including fruit from soon-to-be-planted coastal fruit trees and herbs from an extensive herb garden, which was planted in the empty hull of an old wooden boat on the property. The farm’s apiary is also raising bees for honey. Nestled among the redwoods and vineyards of the idyllic Russian River Valley of Sonoma County’s wine country, the Michelin-starred restaurant at the Farmhouse Inn serves up seasonal and local cuisine that changes nightly. Executive Chef Steve Litke sources as much as he can from local farms, and spends his Wednesdays visiting farms to pick out items for the week. Classic Farmhouse dishes include Rabbit Three Ways: apple wood smoked bacon wrapped loin, a roasted rack, and a confit of leg, all served with Yukon potato and whole grain mustard cream sauce. 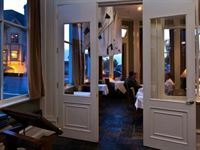 The restaurant’s white linens, candlelight and a wood-burning fireplace provides an intimate and romantic setting with only 14 tables. It’s long been a special occasion destination for locals and visitors alike. The restaurant is open every Thursday through Monday with the first table available at 5:30 pm. Overlooking the Mendocino coast, Stanford Inn by the Sea is perched on a hillside nestled amid certified organic gardens. Nearly all of the vegetables and herbs for the inn’s nationally-acclaimed Ravens’ Restaurant come from the on-site gardens and greenhouses. For nearly 30 years, the inn has been using French intensive, bio-intensive and organic methods to raise a wide variety of lettuces, cabbages, spinach, radishes and vegetables. The restaurant’s vegan dishes are based on locally harvested products ranging from seaweed to morels. Breakfast is served daily from 8 to 10:30 a.m. and on Sundays, and brunch is served until noon. Dinner is served daily beginning at 5:30 p.m. The menus are continually changing in relation to the availability of ingredients, the seasons, and the creativity of the chefs. 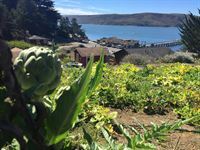 Mendocino’s MacCallum House set the standard with using local, organic produce long ago with Executive Chef Alan Kantor's focus on sustainable farming. Absolutely everything on the menu is prepared in-house, using only the freshest, seasonal ingredients featuring local and regional organic and wild-crafted products. In the romantic, fire-lit dining rooms, guests may select a first course of Pacific Rim oysters, Liberty Farm duck leg confit or roasted gnocchi and chanterelle salad. Second courses may include wild king salmon, bouillabaisse, roasted Rosie organic chicken, grilled Niman Ranch chops and steaks, or one of the evening’s exciting specials. House made ice creams, cheesecake soufflés, bread puddings and crème brulées make for a sweet ending. The restaurant also offers an outstanding wine selection with a focus on local vintages. Reflecting Applewood Inn’s commitment to sustainability, the Restaurant at Applewood cultivates a rich farm-to-table dining experience in Sonoma’s Russian River Valley. The restaurant’s wine country cuisine features organic fruits, vegetables and herbs harvested straight from the inn's own gardens, as well as honey from the inn's own apiary and eggs collected each day from the inn's chicken coops. Chef Annie Hongkham’s menu is seasonally driven and reflects her passion for gardening: watching the herbs and vegetable she grows turn into something on a plate. 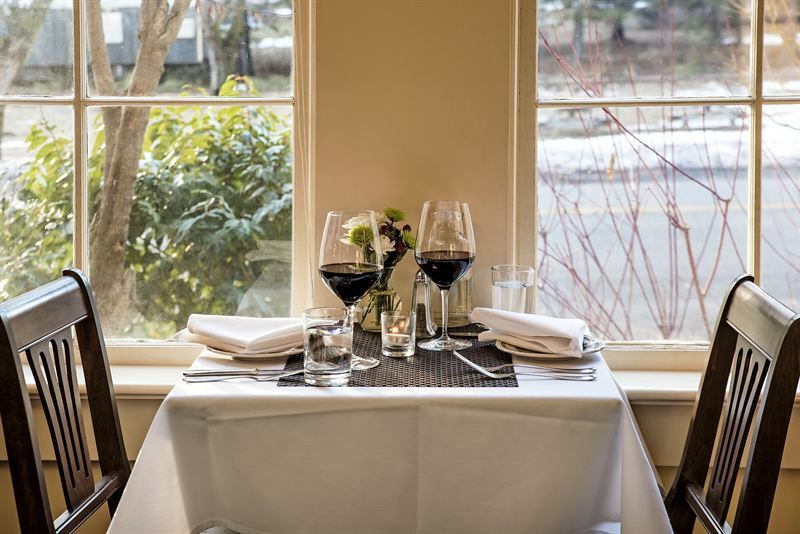 The restaurant offers a Russian River-centric wine list and gracious service in a rustic, romantic setting built in the style of a French country barn. On California’s redwood coast, Carter House Inns’ Restaurant 301 is considered a destination restaurant by many. The cuisine showcases herbs, greens and vegetables from the inn’s own gardens as well as the region’s finest seasonal delicacies, such as Humboldt Bay’s Kumamoto oysters and fresh salmon from the Pacific. The chefs source fresh, local produce daily to craft artful dishes pleasing to the eye as well as the palate. In the dining room, guests may order a la carte, or enjoy the chef’s prix fixe menu: a memorable five-course feast complete with wine pairings. A Wine Spectator Grand Award winner since 1998, the restaurant’s wine list offers several thousand selections, including wines from Carter Cellars and Envy Wines, Carters’ own winery in Napa Valley. In California Gold Country, the historic 1859 Historic National Hotel & Restaurant is among the oldest hotels in continuous operation in the state and its restaurant has been serving diners for over 40 years. Led by Executive Chef Thomas Callahan, the restaurant’s cuisine features fresh herbs and vegetables harvested from the inn’s own garden and greenhouse. All other fresh produce is locally-sourced when available. The menu also features top-quality USDA Choice beef and house-made breads and rolls. In addition, the restaurant has one of the largest wine list of Sierra Foothills appellation wines, with more than 100 selections. The restaurant serves lunch and dinner daily, Sunday brunch, and creates special menus for holidays. In the mountains of Southern California, the innkeepers at Strawberry Creek Inn Bed & Breakfast raise their own bees and free-range, organic-fed hens to supply the honey and fresh-laid eggs for each morning’s breakfast. The innkeepers also use fresh, local, organic ingredients and produce to create their signature dishes, including puffed pancake with fresh fruit and toasted almonds, home-made muffins, a corn strata casserole and more. Breakfast is served with the inn’s very own special roast of fresh-ground, organic, fair-trade-certified coffee. In Ferndale, the innkeeper’s chickens supply the eggs for the delectable breakfasts at the Gingerbread Mansion Inn’s elegant, High Victorian dining room. The breakfasts also feature locally-sourced vegetables, cheese, milk, butter, and meats, including the local Portuguese community’s specialty: linguiça. Breakfast is rounded out with locally roasted coffee and a house-baked specialty of the day. In the afternoons, tea is accompanied by a selection of local wines. Guests can also choose to order a picnic basket with an array of local flavors or a bottle of locally-made sparkling wine. Lucinda’s Country Inn in Fair Play will host an exquisite Farm2Fork dinner in September featuring the bounty of the region. The menu will include spring lamb from Deaver farms in Amador County, produce from Momma Earth Farms in Fair Play and several wineries in the Fair Play Wine Country. The inn is offering dinner and room packages for $300 per couple. Tickets for the dinner only are $65 per person. For more details and reservations, call 530-409-4169. 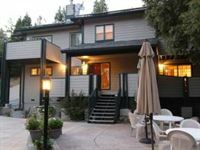 For more information about these and other California bed and breakfast inns, visit www.cabbi.com.